Elmastudio is a WordPress theme shop and blog run by wife and husband team Ellen and Manuel. Next to creating minimal, responsive WordPress themes we love creative work, the daily little challenges of our web worker lifestyle, green tea (okay, sometimes coffee, too) and dark chocolate, getting inspired by art, design and life itself, blogging, traveling, vegan Thai food and lots of adventures. – Created first WordPress website in 2008. – Freelance work building custom WordPress websites for clients. – Started a WordPress blog in German language documenting our experiences and challenges as freelancers and WordPress designer and developer. 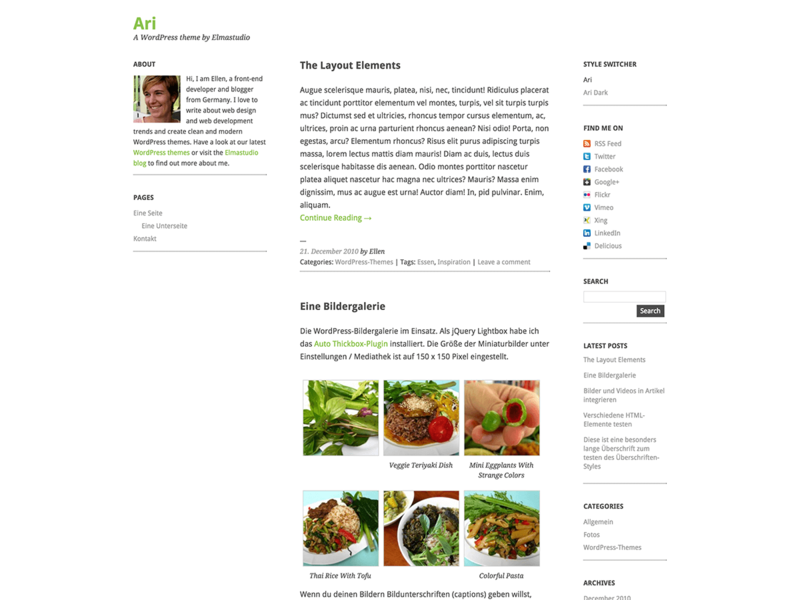 – Released first 2 WordPress free themes “Ari” and “Yoko” in 2011 and 2012. 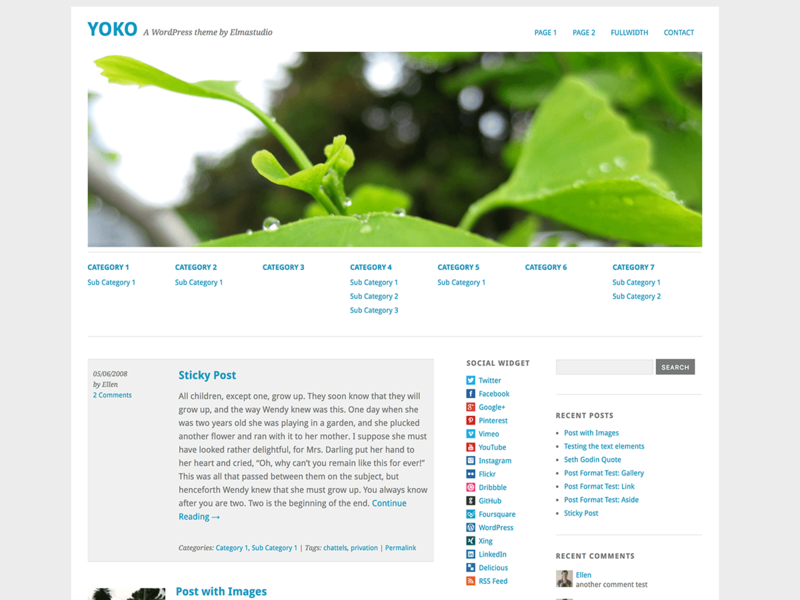 – Released first Premium WordPress theme in 2012. – By now we build over 30 WordPress themes.